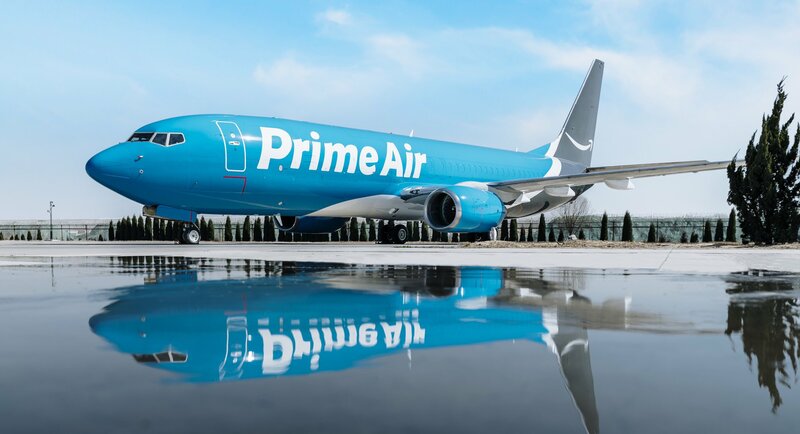 Amazon Air is moving into B737-800 freighter operations, with a potential for up to 20 aircraft, after Atlas Air Worldwide (AAWW) confirmed that its wholly owned subsidiary, Southern Air, will provide crew, maintenance and insurance (CMI) services to Amazon for the B737 type. In a AAWW Form 8-K filing to the US Securities and Exchange Commission, the US aircraft lessor stated that the global internet retailer may also take a 39.9% of AAWW’s common shares, an increase from the 30.0% previously agreed. Atlas Air said that the Boeing 737-800 aircraft will be leased by Amazon from “a third party” and sub-leased to Southern Air. It continued: “Amazon may, in its sole discretion, place up to 15 additional Boeing 737-800 aircraft into service with Southern Air by May 31, 2021, subject to Amazon’s confirmation that it will exercise such options no less than 240 days in advance of the scheduled delivery date for each aircraft. “In connection with the amended and restated agreement, Atlas Air Worldwide has granted Amazon incremental warrants that would allow it to potentially acquire up to a total of 39.9% (after the issuance) of AAWW’s common shares, an increase from up to 30.0% previously. “The warrants relate to existing B767 activities and expected B737 CMI flying for Amazon, and they will also “capture future growth of the relationship as Amazon may increase its business with AAWW”. This latest freighter move comes after Amazon Air announced in January this year that it was expanding its US domestic freighter network with the lease of a further 10 Boeing 767-300Fs from US aircraft lessor ATSG, with options for even more. That would bring the e-commerce giant’s fleet of aircraft to 50 – it leases a further 20 from ATSG and 20 from Atlas Air – when all the aircraft are delivered in two years. The B737-800 announcement comes after a senior vice president of operations at the e-commerce giant tweeted an image (above) of a B737-800 converted freighter, following on from an aviation photographer posting a similar image of the plane. Other details that are known about this aircraft are that it is owned by GECAS, it is an ex-China Southern aircraft, its registration number is N851DM and it was converted by Boeing authorised STAECO at its facility at Jinan Yaoqiang International Airport. GECAS placed an order for 35 Boeing 737-800 converted freighters (BCF) during the Farnborough Airshow in July 2018. The deal, which included 20 firm orders and an option for 15 more, would take GECAS’ B737-800BCF order book from 15 to 50.